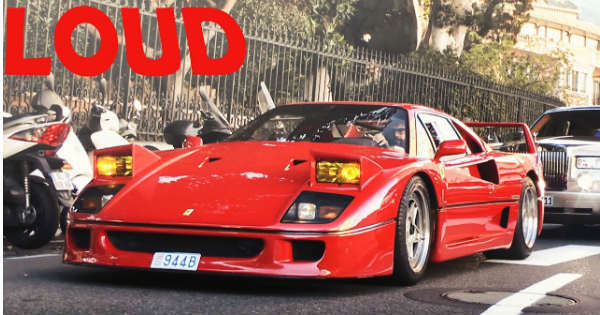 The Roaring Sound Of This Ferrari F40 Is Just As Good As It Can Get! People often question what the difference is between having a cheap daily drive car and an expensive beast. Both of these cars will get the job done, right? Well, they are most certainly wrong and it order to prove them so, all you have to do is to show them the following video. In this video of just 4 minutes, they will be able to realize how wrong they were. The car was seen at the Ferrari Owners Day just recently and this guy managed to take a nice video of it. By many this car is considered as one of the best Ferrari models ever made. It looks so elegant and powerful. Of course we are talking about the Ferrari F40. Under the hood you are going to find a 2.9L twin turbo V8 engine, enough to make just less than 500 HP. The Ferrari F40 can get from 0 to 60 in just 3.8 seconds, and for such a classic car, this is something amazing. Its top speed is massive 201mp/h. But boy oh boy, there is nothing more glorious and spectacular than the sound of this true beauty. The owner took the car for a spin and everyone at the gathering took their phones out to film this beauty. There is something in its classy design that makes it so stunning to watch in action. The exhaust that ends in the middle of the car roars like a beast. In fact, you cannot expect less from the Ferrari F40. People all over the world love to own this car, but only the luckiest ones have that privilege. Not many such cars are still in existence to this day, so if you have the chance, make sure to grab one now! Before you leave make sure to check out the brand new Ferrari in action!